Welcome to the South Sumter High Class Of 1980 web site! 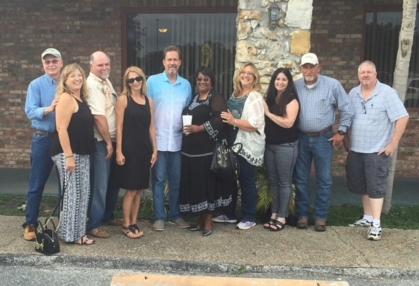 Several of our classmates met on Saturday, June 11, at Coyote Rojo, in Bushnell (the old Leopard Inn). We will also be at the 2016 Fall Festival in Bushnell on Saturday, Oct. 15, selling t-shirts and baked goods. These sales help to pay for the maintenance of this website, and for expenses getting the word out about our various classroom events. If you would like to assist, contact Toni Matthews at TMatthews@ctrfa.com. We hope that you can come out to see us at the Festival! We want to hear what you want to do for future events. We're not getting any younger! We always have fun at our get-togethers and look forward to each one. Drop us a line via this website or at our SSHS 80 Facebook page. We are still searching for many of our classmates! The best way to stay in touch with our class plans, and provide input on future events, is to register here on our class website, and keep your information updated so we can email you. Several of our classmates also stay in touch via Facebook, which is another easy way for you to receive information on our plans.